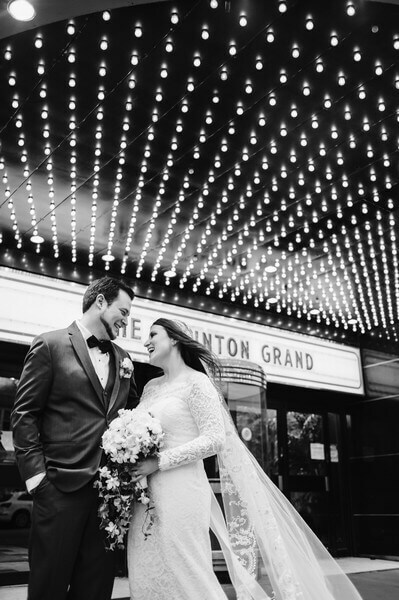 If you are a movie buff then this couple’s wedding is sure to inspire! 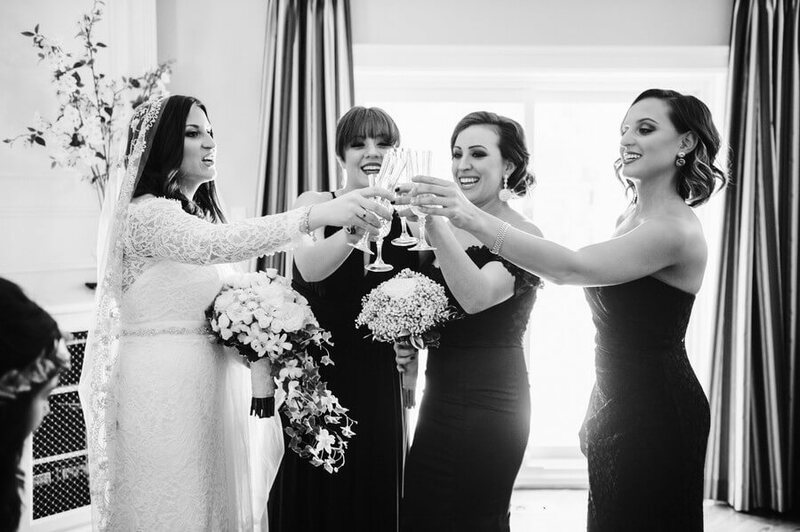 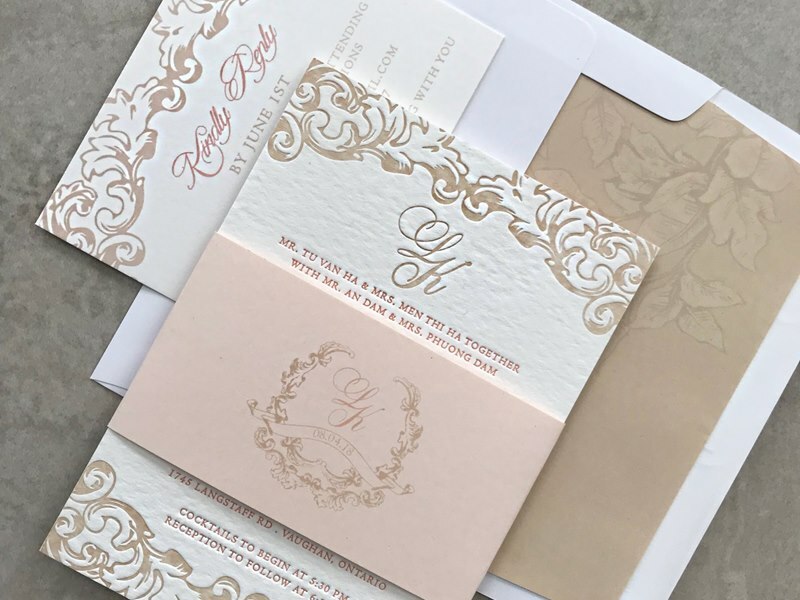 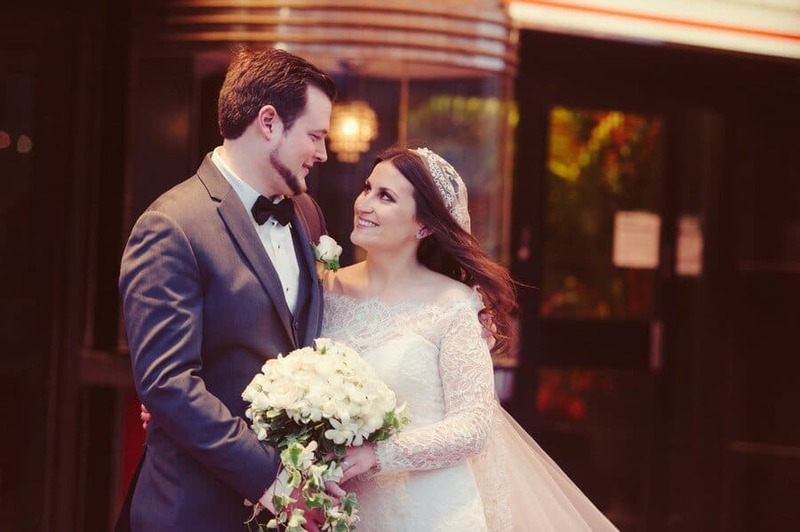 Jessica and Harrison’s whimsical wedding took elements of various popular movies including, Twilight, Harry Potter, The Great Gatsby, and even the Star Wars franchise. 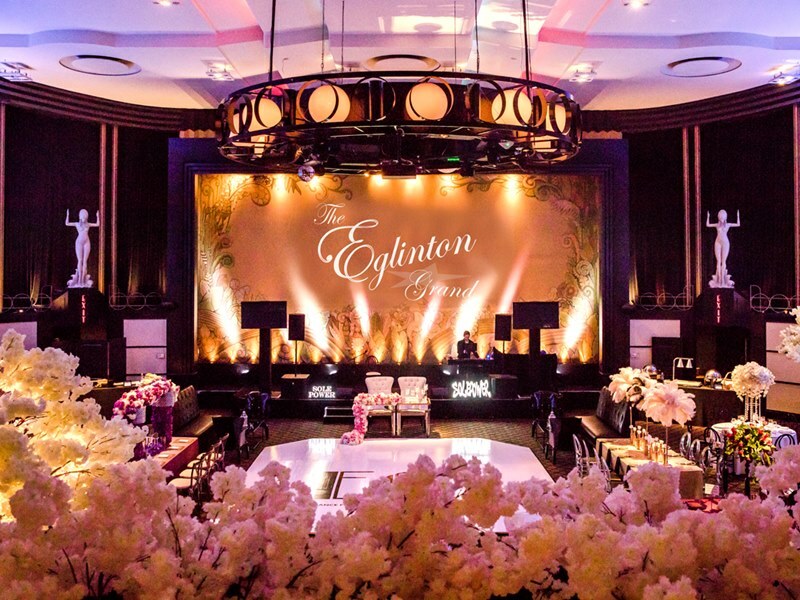 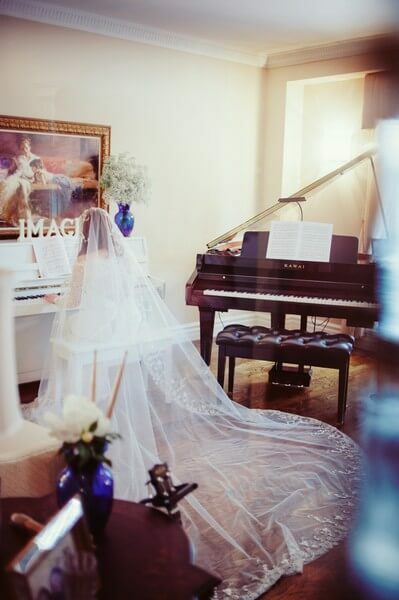 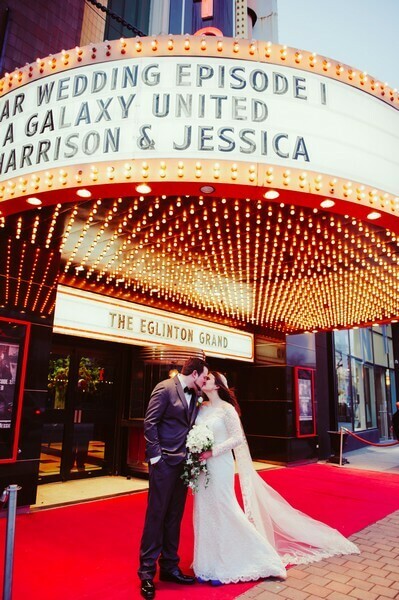 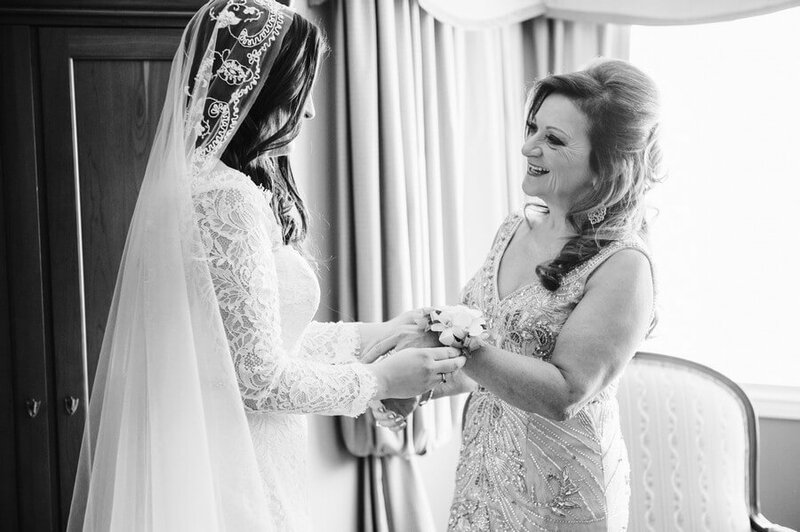 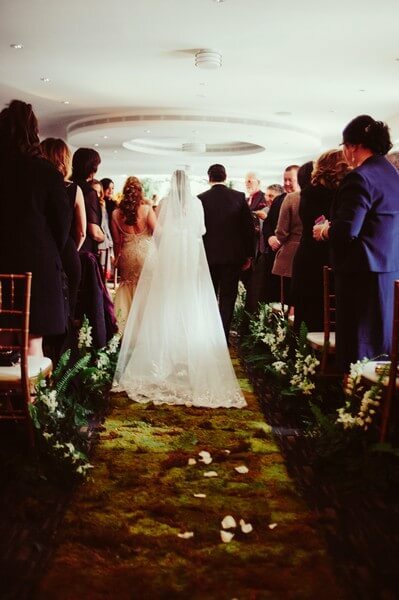 Fittingly, the big day took place at the elegant The Eglinton Grand. 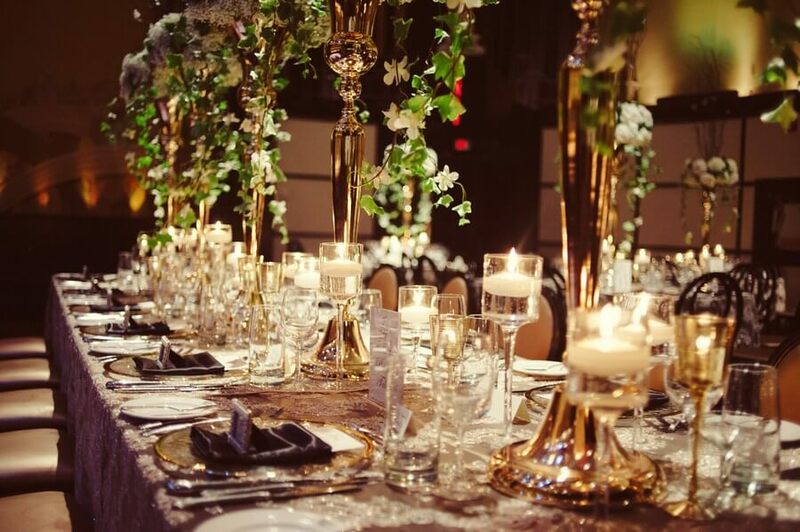 Perfectly planned by the creative minds at Art of Celebrations and stunningly captured by Bassem Photography, this is one showstopper of a wedding that you don’t want to miss. 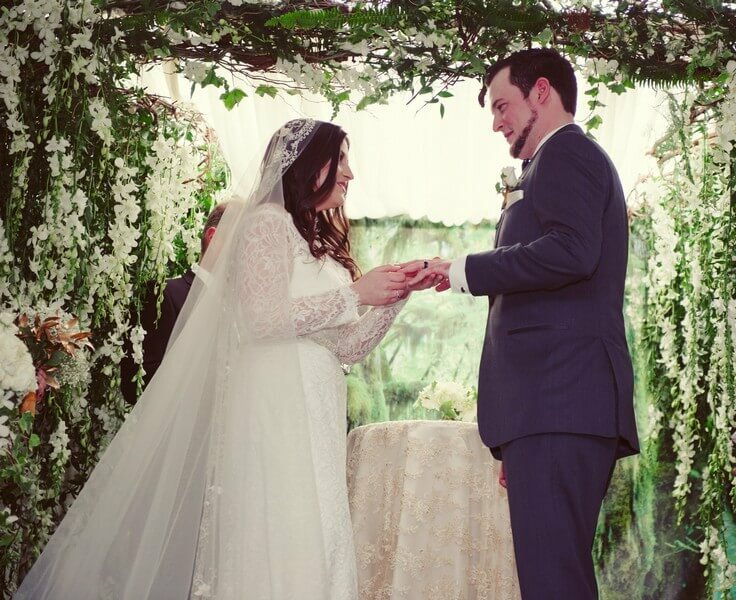 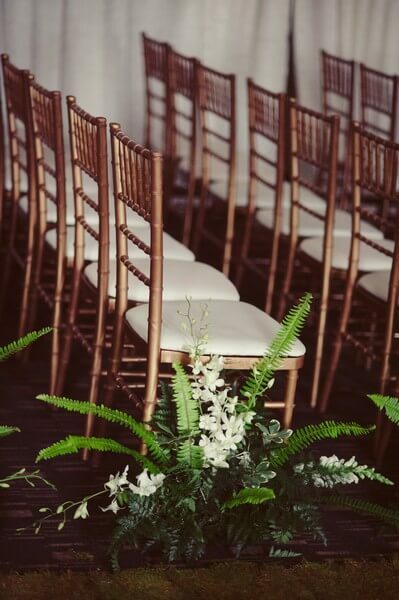 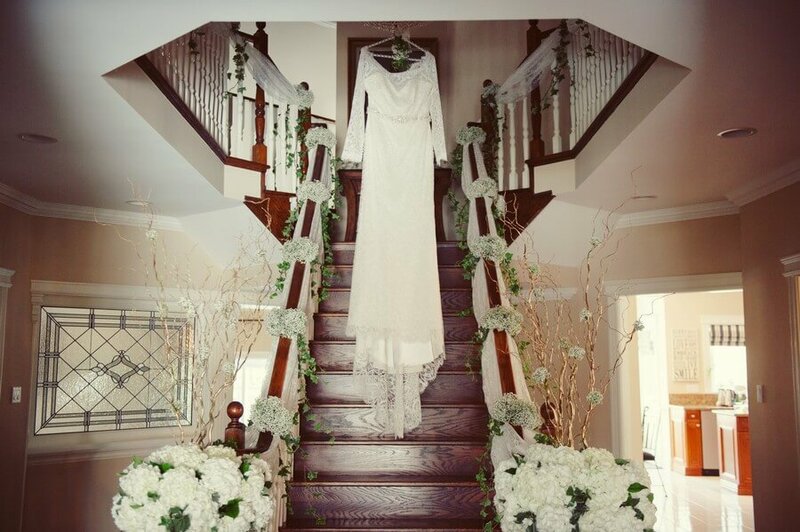 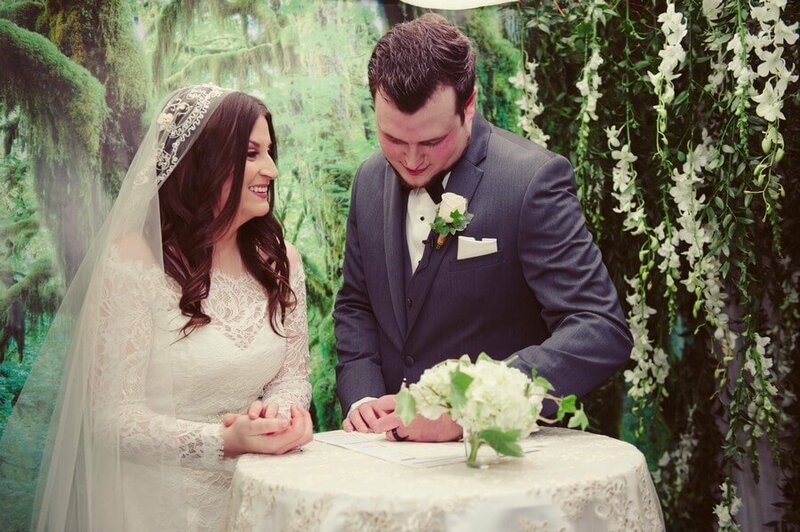 With delicate hanging white flowers, and tons of gorgeous greenery, including draping vines, ferns, and an aisle made entirely of moss, the couple’s intimate ceremony was inspired by Bella and Edward’s wedding from the movie Twilight. 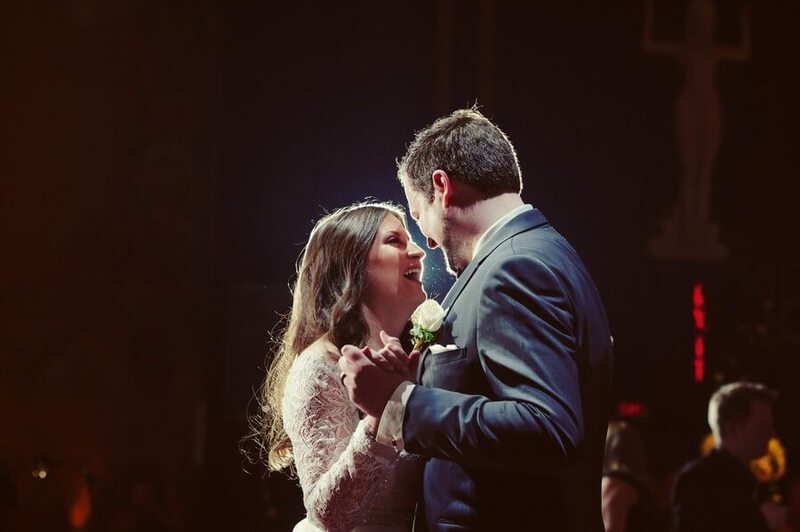 Of course, we can’t forget to mention the subtle Harry Potter references that were also incorporated in this couple’s ceremony like wedding bands inside a “Golden Snitch”! 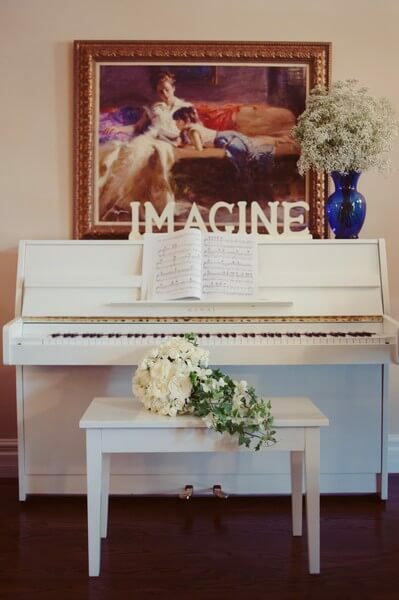 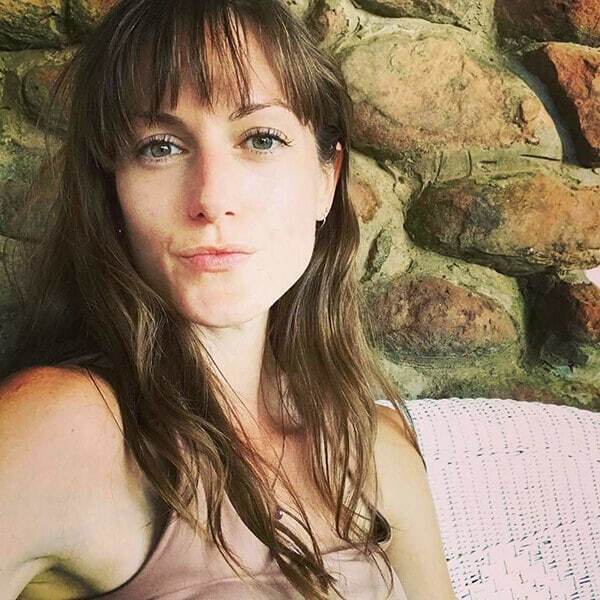 How cute is that idea? 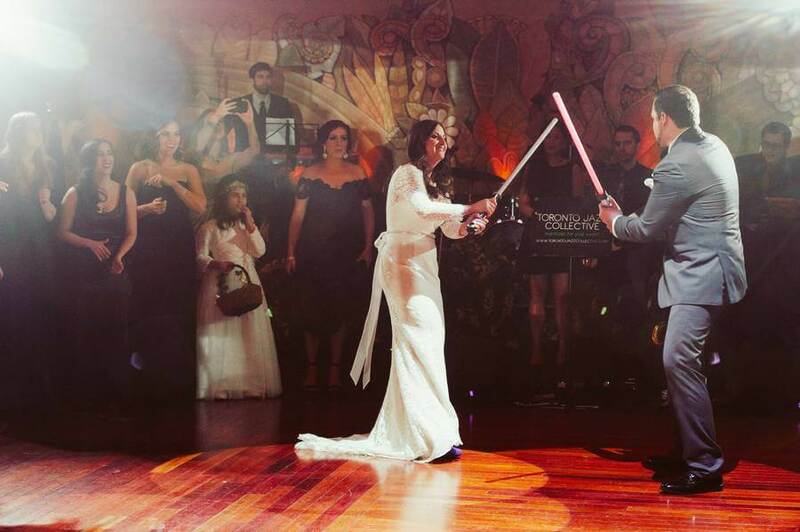 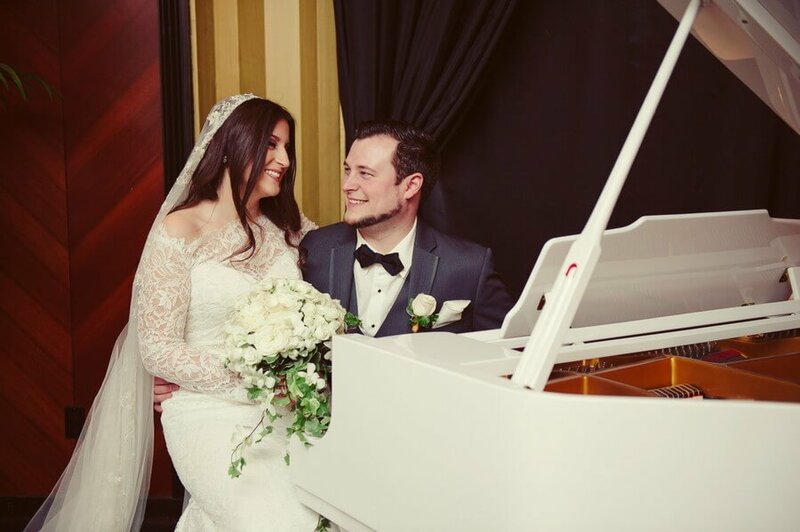 The couple entered their romantic reception to the “Imperial March” from Star Wars — they even had a live lightsaber battle in front of all their friends and family which lead into their first dance! 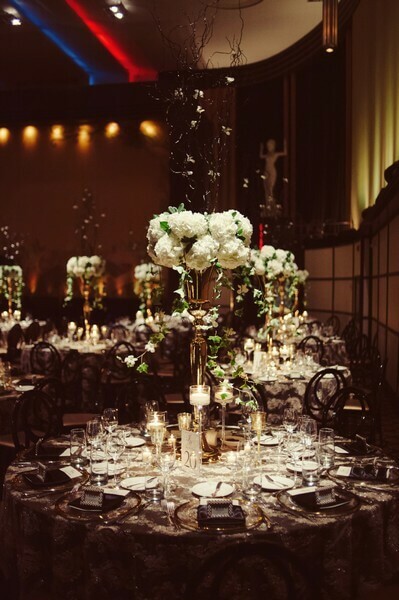 Reminiscent of a glitzy, Gatsby-themed party, the ballroom was jazzed up with dark jewel tones, gold, and pearls adding to the art deco vibe of the night. 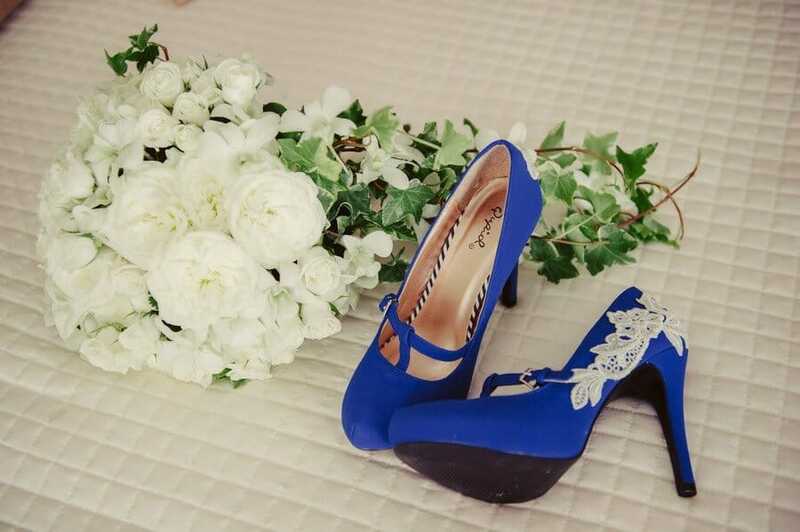 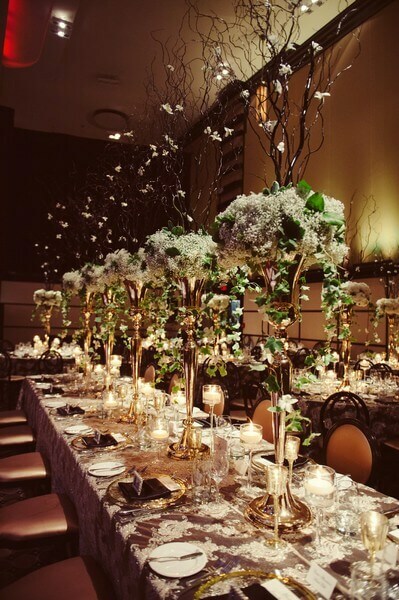 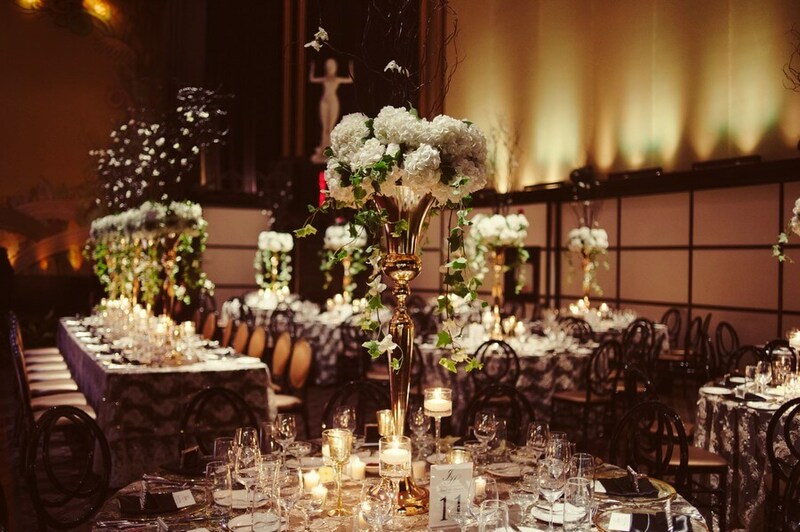 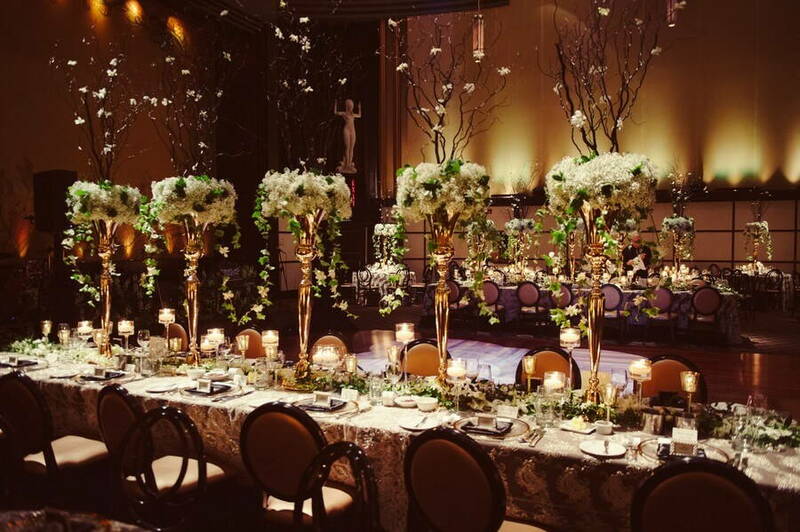 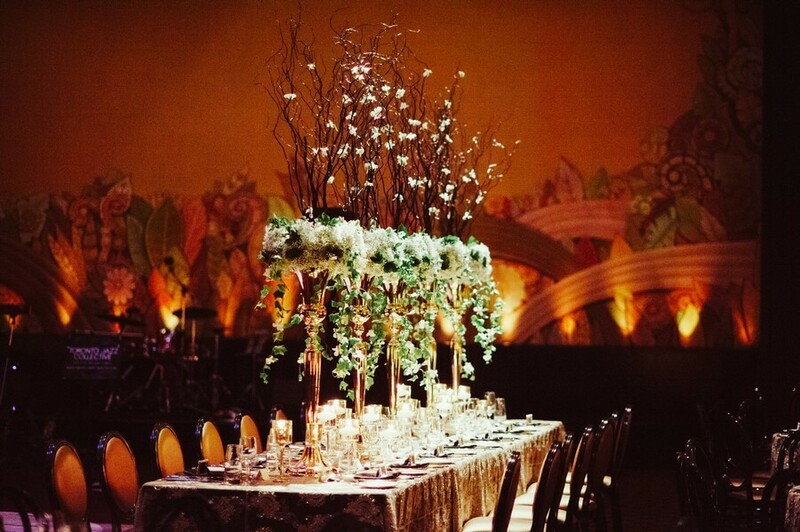 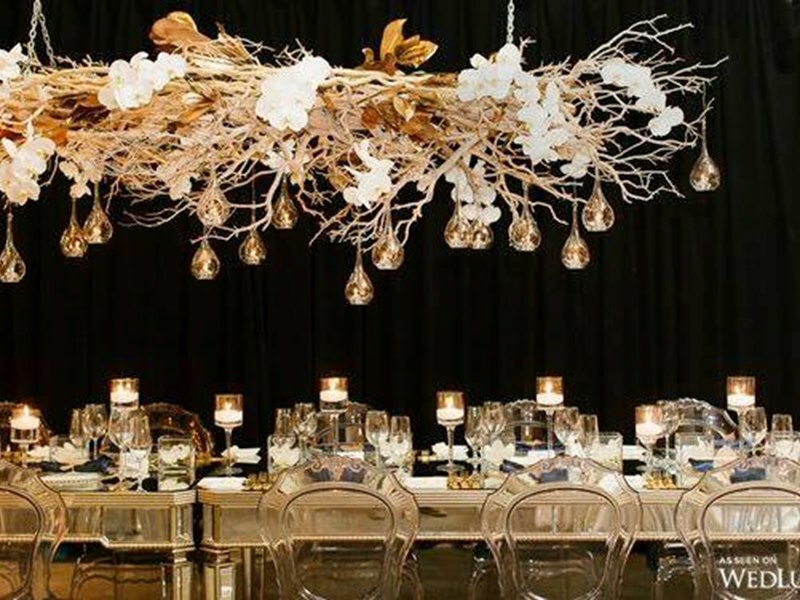 Art of Celebrations provided the chic decor and the grandiose florals that were the picture of sophistication. 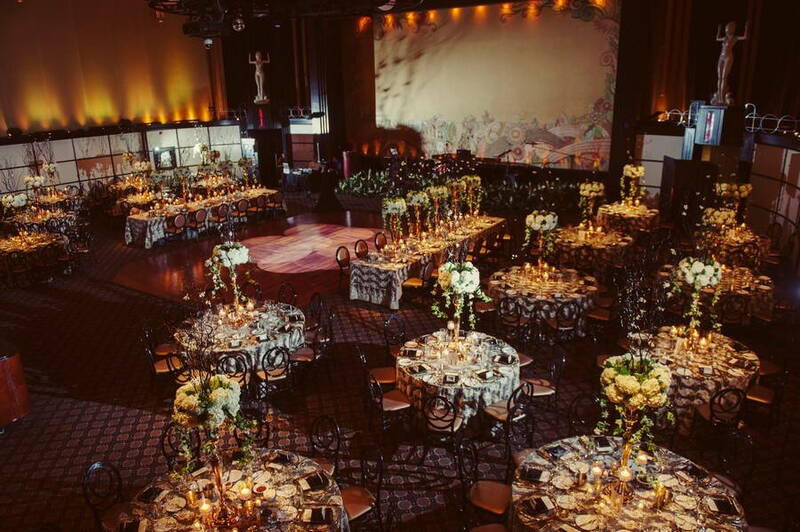 The live band, Toronto Jazz Collective, seamlessly tied into the 1920s theme, getting the guests to their feet.